Once upon a time, there was a girl named Raven Locks Smith. If you made fun of her name, she would hit you with a shovel. 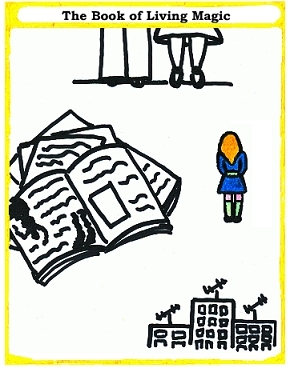 She lived in the city of Dull, and although she loved her motivational-speaker parents, she wished for something more. One night, as she considered her boredom, a dream came to her and told her of a life changing tome that could be found near the Mountains of Oddness. Soon she walked there, and found it to be a most interesting place. But just because the new land was interesting, it didn't mean that it was safe: there's rumors of a Terrible Monsterbeast of Unvanquishable Doom and, even worse, of truly nightmarish experiments carried out by Evil Doctor McSelfish. And so, in this new point-and-click adventure game by Jonas and Verena Kyratzes, set in the same universe as their earlier The Strange and Somewhat Sinister Tale of the House at Desert Bridge, you help Raven search through the quite unusual Land of Dreams in search of The Book of Living Magic. Analysis: While the trend towards gender-neutrality in online games is probably a positive one, the comparative lack of main roles for female characters is still lamentable. We're still at the point where a young girl as protagonist is notable in and of itself, especially when combined with the excellent writing that The Book of Living Magic certainly possesses. Obviously, any story about a girl encountering fantastic creatures in a surreal landscape can't help but owe a debt to Lewis Carrol. However, Book of Living Magic reminds me more specifically of Terry Prachett's Tiffany Aching series or, to jump two levels in obscurity, Epic Megagames' Dare to Dream: it has that deft balance of being a coming-of-age story, while at the same time subtly parodying the tropes of the genre with a host of wordplay and references-that-aren't-distracting-if-you-don't-understand-them-but-are-hilarious-if-you-do. If the prose is a little precious at times, it is still an absolute joy to read, and the authors' wit is displayed in even the most minor of object descriptions. You'll be wanting to click everything you can see by the end. Throw in a light touch of the macabre, and you have a modern fairy tale just waiting to be enjoyed. There are a few drawbacks worth mentioning. First of all, as much as I enjoyed the protagonist, I wish she had been fleshed out a tad more: I wish her half of the conversation with other characters was written out as dialogue, rather than as a list of topics. What's more, I wish that there had been an indication as to what topics had already been chosen and which were new. Finally, I found the music, while passably adventurous, to be a bit blaring and repetitive. A mute button would have been a good addition to the Land of Dreams, methinks. If you enjoyed this game, be sure to play The Fabulous Screech, a game that takes you back to the magical world of Oddness Standing. Despite its relative short length, The Book of Living Magic has a distinct air of gravitas to it. To get the most out of it, you'll need to settle to play without distraction. If you do, you shall be amply rewarded with a wonderful story and a wonderful journey. It is a game that combines the conventional comfort of a classic fable with the unconventionality of an imaginary world crafted lovingly by its authors. 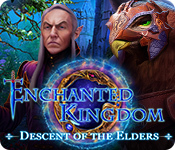 Highly recommended to all lovers of classic adventure games or fantasy in general. The Book of Living Magic Walkthrough now available! 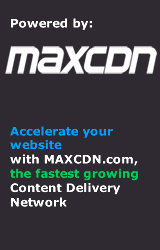 Take your time with this game, and click on everything you can. Everything has a story, even all of the eyeballs in the forest of eyeballs. Click on people (and animals) and you will get dialogue choices as to what to talk about. Only certain key points are important, but don't skip the dialogue; it's fun. After you've accomplished a task, dialogue choices will change for certain characters. 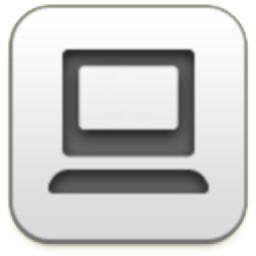 Watch for the changing cursor, it indicates clickable areas. All items you acquire go into your backpack. When you need to use them, it happens automatically; no pointing and clicking required. To the right of your backpack (in the bottom of the screen) is a scroll that keeps track of your quests. To the left of your backpack is the magic map that allows you to travel around outside of the town. 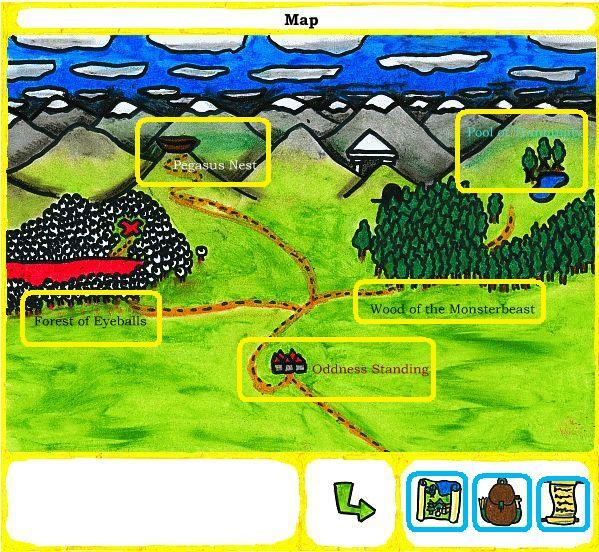 You can navigate by clicking on areas of the scenery, or using the handy navigation arrows at the bottom of the screen. Also, if you are in the map view, you can go directly to certain areas simply by clicking on them. Your map will only fill in with the proper locations after (a) you've learned them from talking to a character, or (b) stumbling across the location yourself. Once you get past the long introduction, you will find yourself in the Village of Oddness Standing, facing a gnarf in a bottle. Just go with it. Click on the bottle to get the conversation menu. Click on a top of conversation to highlight it and then click on "talk". 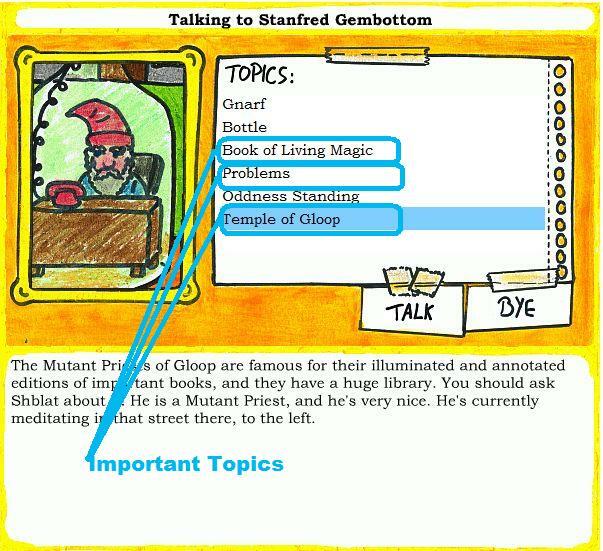 In the introduction you will learn the gnarf's name (Stanfred Gembottom) and he will give you a magic map. Now more topics of conversation will come up. You can go through them all (and it is highly recommended), but the important topics are: Book of Living Magic, Problems, and Temple of Gloop. What you learn: (1) The book of living magic may be in the Temple of Gloop, (2) The history of the evil Dr. McSelfish (and the forest of eyeballs and the lake of blood), and (3) The Mutant Priest of Gloop Shblat and his location (to the left). Exit the conversation by clicking the "Bye" button. Go left and click on Shblat for a conversation. Go ahead and talk to Shblat on all topics; it's all important stuff. You will learn about the Temple of Gloop and that they do have the Book of Living Magic. You will also learn about the Wood of the Monsterbeast (the location will now appear on your map). You will learn about the Monsterbeast itself and more on the history of the evil Dr. McSelfish. Close out of the conversation and go right (back to Stanfred Gembottom and his bottle). To the right of the bottle, in front of you, you will see a door to a tavern. Enter the tavern. 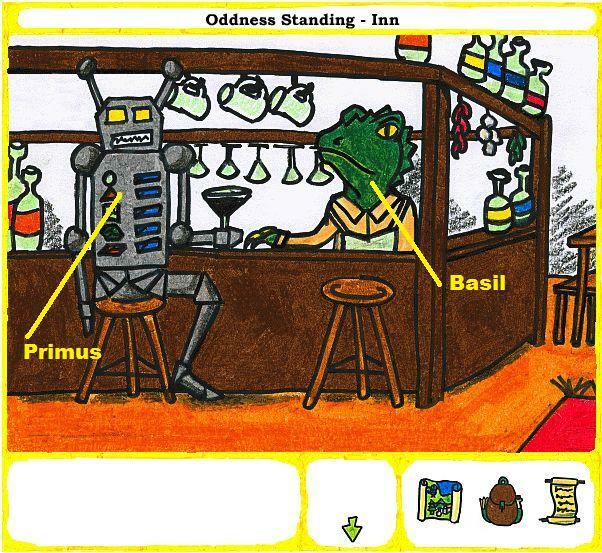 In the tavern, you will find a depressed, one-legged robot and Basil the Innkeeper. Talk to Basil. The important topics are: Rumours, Primus (the robot), Forest of Eyeballs, and Helping Primus. Once you've talked, the Forest of Eyeballs will appear on your map. You will also learn Primus' sad story and why he is so depressed. Don't bother talking to Primus; he isn't very talkative at the moment. Go backwards to the gnarf in a bottle. From the gnarf go right to the sheep (Provatica the Unhefted). Talk to Provatica. The important topics are: The Temple of Gloop, Evil Dr. McSelfish, and The Pool of Tranquility. Once you've talked to Provatica, the Pool of Tranquility will appear on your map. It is north of the Wood of the Monsterbeast. 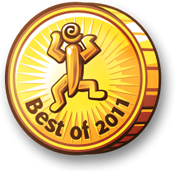 To the right of Provatica is a stick insect named N'Grass and his trading stall of...sticks. Talk to N'Grass. The important topics are: Book of Living Magic, Sticks, and Trade. Looks like we need to find a stick. Exit the conversation with N'Grass. Notice the alleyway in front of you. Go forward through the alleyway (using the navigation arrows at the bottom of the screen). Welcome to the human circus and its proprietor, The Fabulous Screech. Click on Screech to speak to him. The important topic is: Services. Looks like Screech wants water from the Pool of Tranquility. He will give you a bottle to collect the water. Exit the conversation and go backwards to the sheep (Provatica). Go right to more market stalls. Here you will find a monkey and a duck manning their stalls. Talk to the monkey to find out that he has a marble in his nose (ewww!) and he needs a feather. Talk to Duncan (the duck). The important topics are: Terrible Monsterbeast, Pegasus, and Feather. You will get more detail about the Terrible Monsterbeast, your map will now show the location of the Pegasus, and Duncan will not give you a feather. Time to solve some problems. Click on the map (it's to the left of the backpack in the lower right of the screen). Notice the locations in the map have filled in. To the right is the Wood of the Monsterbeast. Above the wood is the Pool of Tranquility. To the left is the Forest of Eyeballs. Notice the red X in the forest. High on a mountain, between the Wood and the Forest, is the nest of the Pegasus. Click on the Pegasus nest in the mountains. Click on the Pegasus to speak to him. The important topics are: Feather and Helping Primus. End the conversation with the Pegasus. You should now have a feather. Click on the map, then click on the town of Oddness Standing. Go right twice to the food stalls and click on the monkey. 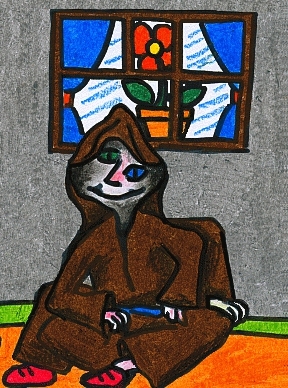 Once you are talking to the monkey, choose feather. This will get the marble out of his nose. New conversation topics will crop up. The important ones are: Stall and Evil Dr. McSelfish. Leave the conversation. You should now have the monkey's snot-covered marble. Urgh! Go left to the sheep, then left again to the gnarf in a bottle. Go forward into the tavern and talk to Primus (the robot). The topic is: Pegasus. 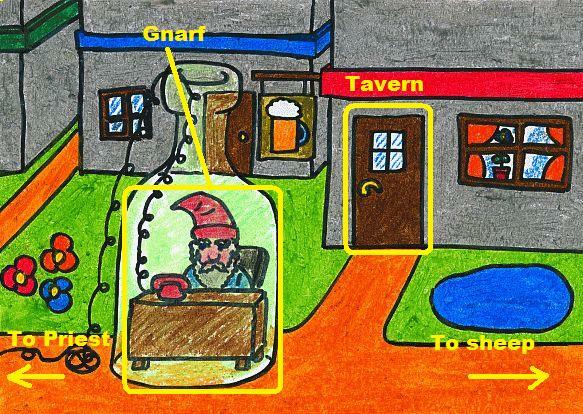 When the cut-scene ends, you will be outside the tavern with the gnarf. Go forward back into the tavern. Speak to Primus (the robot) again. The topic is: Torch. When you are done you should have a torch (flashlight). Go backwards to the gnarf. Now let's explore some other areas. Go to the map either by clicking on the map or by going backwards from the gnarf. Click on the Wood of the Monsterbeast. As you enter the wood you reach a crossroads. Go left. Here you will find a Pirate parrot in a tree. Click on the parrot to speak to him. The important topics are: Terrible Monsterbeast and Entrance. Exit out of the conversation. Looks ahead and see that there is a brick wall blocking the way to the Temple of Gloop. There is also some gloop on the path (a nasty green colored blob), but you don't know how to pick it up. Back up to the crossroads and go right. Now you are at the entrance to a cave. Go forward into the cave. Here's the Monsterbeast, but he's frightened of you. And hungry. You need to find out what a Monsterbeast likes to eat. Looks like we need to talk to some people. Let's explore a bit more first. Click on the map in your inventory. Once the map is up click on the Pool of Tranquility (north of the Wood of the Monsterbeast). Click on the pool and you will fill your bottle for Screech the cat. Still more exploring to do. 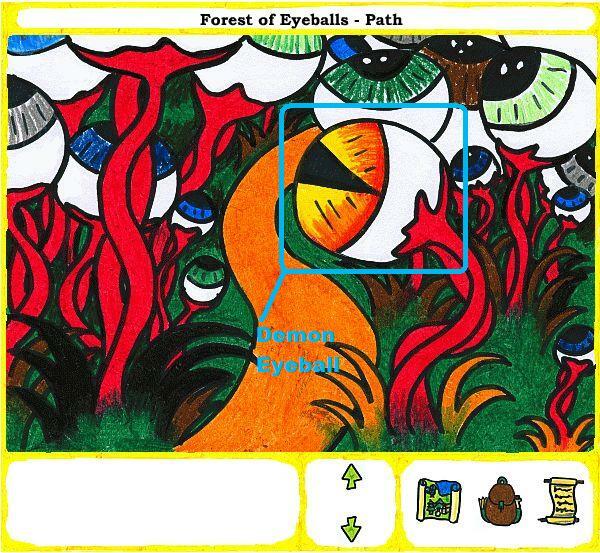 Click on the map to pull it up, then click on the Forest of Eyeballs to enter. You are now surrounded by a lot of eyeballs on stalks. You can take the time to click on them; each one has a story. More eyeballs, more stories. Go forward. And yet more eyeballs. Notice the one in the center, the yellow one. Does that one look a bit funny? You have just found the infamous Baba Yaga (the chicken). Click on Baba Yaga to speak to her. The important topics are: Lake of Blood, Terrible Monsterbeast, and Trade. You learn that the Lake of Blood is apparently not what it seems. Also, the Terrible Monsterbeast wants to eat something equally horrible. Baba Yaga also wants some horrible concoction made of picked eyeballs, gloop, and a banana. Looks like we need to talk to some people. Click on the map, then go back to the town (Oddness Standing). Go left to talk to Shblat. Notice that some of the conversation topics have changed. The important topic is: Gloop. Now we need to find the demon eyeball to figure out how to get the gloop. Close down the conversation and go right twice to the sheep. Go forward and talk to Screech the cat. The topic is: Services. Grateful for the bottle of water, Screech gives you pickled eyeballs. Close down the conversation, go backwards to the sheep, then right to the food stalls. Click on the monkey to speak to him. The topic is: Banana. The monkey will be grateful for your help and give you a banana. Now you have 2 of the 3 ingredients needed. Close down the conversation and bring up the map. Click on the Forest of Eyeballs, then go forward twice. Remember that odd yellow eyeball? It's the Demon Eye. Click on it to start a conversation. Once the Demon Eye has told you its story, pull up the map. 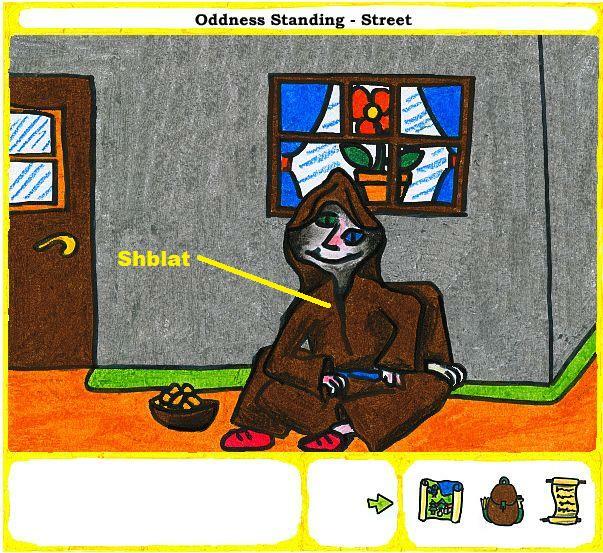 Click on the town, then go left at the gnarf to talk to Shblat again. Once again the topic of the conversation should be Gloop. You now have the ability to pick up Gloop. Close down the conversation, then pull up the map. 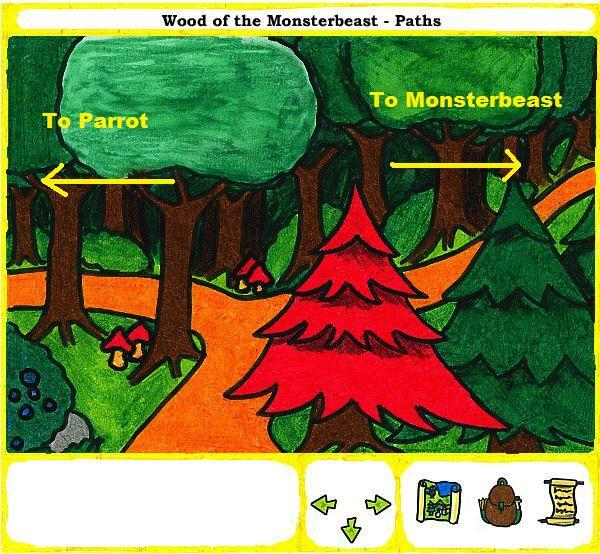 Click on the Wood of the Monsterbeast, then go left at the crossroads. Pick up the Gloop on the path below the parrot. You now have all of the ingredients. Pull up the map and go to the Forest of Eyeballs. Go forward 3 times to Baba Yaga. Click on Baba Yaga to speak to her. The important topic of conversation is: Trade. In thanks, Baba Yaga will open the path to the Lake of Blood. She will also give you her broomstick. Go forward from Baba Yaga to find the Lake of Blood. Once at the lake, click on the ferryman to start a conversation. There is only one important topic: Crossing the Lake. Okay, the lake is made of ketchup, and he wants fries with that? Now we need potatoes and some hot boiling oil. You should know from conversations that the Monsterbeast has a belly of hot boiling oil. Perhaps we should try the monkey's produce stand for the potato? Pull up the map, then click on the town. Go right to the sheep. While we are here, let's talk to the stick insect again. The topic of conversation should be: Trade. You will give him Baba Yaga's broomstick for another...stick. Close down the conversation and go right. Click on the monkey to speak to him. The topic of conversation should be: Fries. Once the monkey gives you the potato, close down the conversation. Pull up the map and go to the Wood of the Monsterbeast. Go right at the crossroads and forward into the cave. The Monsterbeast wants something disgusting to eat, and you have that very disgusting snot-covered marble. Click on the Monsterbeast to talk to it. The topic should be: Marble of Horror. Now the Monsterbeast loves you! And a new topic is added to the conversation, Make Fries. Click on Make Fries to, well, make French Fries. You now have French Fries that have been cut on a monster's teeth, and boiled in the hot oil in its belly after it ate a snot-covered marble. Yummy. Pull up your map, then go to the Forest of Eyeballs. Go forward 4 times to the Lake of Bloody Ketchup. Click on the Ferryman to speak to him. The topic should be: Crossing the Lake. Enjoy the ride (and the fries). Once you cross the disgusting lake of ketchup, you end up in front of the Lair of Evil Dr. McSelfish. Click on the doors (or use the arrows to move forward once). Water blocks the way forward, but there is a grate and some stairs leading down. Unfortunately the grate is closed. On the brick wall is a small green button, push it. You can only do this if you have traded Baba Yaga's broomstick for the forked stick at the stick insect's stall. The grate is open, so you can now move forward. Congratulations, you have found Dr. McShellfish, not the Evil Dr. McSelfish. Click on the Doctor (the giant lobster). First talk to him about the misunderstanding, then three more topics appear. Talk to him about all three topics. Looks like he didn't wall up the temple with those bricks. Close down the conversation, then start it up again. This time when you talk to him about the Temple he will offer to take you there. Once Dr. McShellfish takes you to the temple, it appears as a clickable area on your map if you need to go back. Click on the Mutant Priest (Gnarm) to speak to him. Talk to Gnarm about the Book of Living Magic and try to ignore all of the bad puns. Looks like you'll have to deliver a message before you can get the book. Close down the conversation and pull up your map. Once back at the town click on the gnarf in a bottle to speak to him. The topic this time around is: Message. You can also talk to him about the Temple of Gloop. You might want to take the time to let everyone else in town know about the mix-up with Dr. McShellfish as well. Once you're done spreading the word, click on your map. Notice that you can now go directly to the temple by clicking on the map. Talk to Gnarm about the Book of Living Magic. Wonderful game, but I didn't find a use for the stick. At least, if there was a use, I didn't notice it. Does anybody know what it was for? such a fun game! but does anyone know how to find the demon eyeball? in the forest of Eyeballs. You walk forward twice. Short but beautiful! Jonas never ceases to amaze me with his games. I was rather surprised to learn that the Doctor's old enemy Davros had written a book on tolerance, of all things, but was relieved when I saw his second book was about extermination. I feared he had lost himself for a moment. Beautiful game! Really quite charming and a true pleasure to play. A torch, a potato, and a stick. Already used the marble. Turn the potato into fries? How? Power of posting. The answer should have been obvious, really. what an amazing ending! this is a game that deserves to be replayed! Jonas Kyratzes! I loved his Desert Bridge game to pieces, and I'm so happy there's a new game with the same fun whimsy bursting from every hand drawn corner, and the same hopeful themes that appeal to that forgotten part of me that still wants to be a kid forever. I'm only a few minutes in, and I already love it. A beautiful, unique, excellently written and simply lovely adventure game. Congratulation to Jonas and Verena and of course to this very site for hosting it. It's a great game, but I wonder why they didn't make a picture book out of this instead. It would surely be a book of superior quality if they did so. eyeballs. when i went back later to click the evil eye, i could not talk to it,and i clicked on every eyeball. since the eyeball thing certain important topics weere not shown as listed either. What a beautiful game, was this made for you guys? Simply amazing. One of the best games I've played in a long, long time. I LOVED House at Desert Bridge, so I was really excited when I saw this show up here. I wasn't disappointed in the slightest. 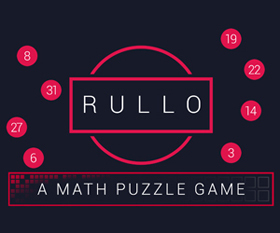 It's not quite as good as that first game, but is altogether wonderful all the same. Usually I get stuck or frustrated by the obtuse logic in point and click adventure games, but the puzzles in this game are all logical and straight forward--especially impressive given the strangeness of the world. Everything about this game is wonderful. The music. The art. The detail. Everything. I'd even take issue with the reviewers slight niggling comments, although they are obviously a matter of taste. I enjoy that you don't get both sides of the conversation. You have to imagine what your character is saying...it is, after all, the character YOU play in first person. Secondly, while a mute button might have been nice for some, I think the music in this game is perfect and can't imagine muting it myself. The game is short, so even though there are only a few tracks I didn't get bored of them while playing. I will however agree that it would have been nice to have topics you'd already read grayed out. Bottom image link is broken. please answer my question from above on the puzzle i'm stuck on. Thanks. Could you explain in detail what exactly the problem is? An absolutely magical story. The tales of the demon and the robot were my favorites. I think I got more Phantom Tollbooth from this story than Alice in Wonderland, personally. I did appreciate some of the references, as well - I definitely wanted to grab some of that fine Brivari. eye part of the map. It says 8i can click on each eyeball for a story and continue the next 2 parts, and again click eyeballs, but when i got back to where i was supposed to go, no conversation about just "gloop" was listed. but there was one with gloop in the subject so i selected that one. anyway, then i went back to the 3rd section of eyeballs and tried talk8ing to the Big one on th3e right,and all it said was it was evil. i could not have a conversation with it. I'm stuck at that point. What does it say under Notes? 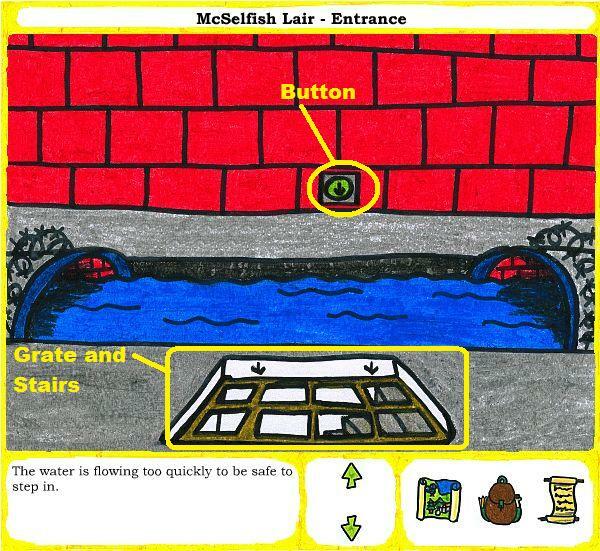 Have you received the quest to learn how to pick up gloop? To do so, you must first examine the gloop in the Wood of the Monsterbeast (next to the walled-up cave entrance). Then, finding that you can't pick it up, you have to talk to the Mutant Priest in Oddness Standing. He tells you to go talk to the Demon Eyeball, and only then can you hear his story. i have the marble for the beast ands he does not take it. and the topic "Marble Of Horror" does not show. That was sweet. It fills me with optimism.. I really like the wonderful width of writer's imagination! @Mantus - Good call on The Phantom Tollbooth. I love that book so much and hadn't thought of it in a long time. This game also brought to mind the wonderful Oz books for me. Those were some of my favorites when I was a kid and they have a very similar style in many ways. amaaaaazing. Totally agree with the phantom tollbooth vibes (I love that book so very very much) in the writing. The only thing that annoyed me was the slightly cumbersome controls - it'd be nice to have the option to use the keyboard instead of the mouse. The writing, however, was beyond awesome. I'm also with Tricky, in that I'd have liked to have a fleshed out main character, rather than just responses I could fill in for, but it didn't put a damper on the enjoyment. Delightful, simply delightful. I felt like I had a triple dip ice cream cone with all the goodies and none of the calories. SO GOOD!!! I loved this game. No, the gameplay isn't amazing or even that difficult. But the fun names and storyline, coupled with stellar background music, made this a complete delight to play. My heart. It is warmed. @Paul: I got stuck in the same place. You need to talk to an expert who will tell you that it eats horrible things. This game is kind of adorable in its description of everything. This game made me go ^_^. It's so great to see a game that both kids and affectionately takes part in the idea of magic. This game twists the classic fairytale in its details, but at its center I think it takes the story seriously. I really liked how Raven's experience was, while ridiculous, still consistent and how the characters were more than what they seemed. Lastly, I especially liked how in the end, the magic and her growth didn't come from a wand or a crystal ball or a dragon, but from a book, and from a little help from others: Something that, as a really sad and shy kid growing up, I can really, really, really relate to. I'm looking forward to Jonas and Verena Kyratzes' next game. 5 stars - Jonas, if you DO make your opus, I'd be early in line to pay for it. Keep at it, we do appreciate your art. Absolutely lovely. Definitely agree with other reviewers about the Phantom Tollbooth-esque charm to it. The sort of game that calls back to my childhood, sitting in my bed and reading book after book after book and just getting hopelessly lost. I enjoyed clicking on EVERYTHING and reading all of the descriptions. But I was wondering, is there any aftergame-gameplay? This is a brilliant, wonderful, beautiful game and I am so glad that it exists. I like that although this was much lighter than Desert Bridge, it is still just a little bit dark in places. It lends the game realism and depth. The music, and the overall atmosphere, was absolutely gorgeous. I found myself wanting to stay at the Pool of Tranquility for longer, and the stark contrast of the music in the other areas and the sounds of birdsong there gave it a real sense of peace. I cannot wait to visit the Land of Dreams again. It always manages to give me peace and the sense of having a bit more knowledge of the world. Absolutely fantastic will be waiting for another. So much work and detail! SO much detail! Especially in the Forest of Eyeballs-every single eyeball has a description! Jay - The game won't load for me either. After the advertisement, it either goes completely white or shows a Kyratzes-graphics-y thing that says casual gameplay at jayisgames.com, but that's it. Nothing moves, nothing happens if I click on it. I even opened internet explorer (oh my! what drastic action) and tried it there, but NOTHING loaded with it, not even the ad...though I'm pretty sure I'd never used ie before on this computer so that might have something to do with it. Loved it. One of the best games I've ever played. It's up there with the "Colour My..." series, as well as Immortall. Play them both. I too have the same problem. The game wont load, only white screen. Fun, quirky, and slightly-absurdist storytelling. There are a lot of references about mythology and other subjects, most of which I don't recognize (not sure if this is a good or bad thing). For example, the Monkey's "philosophy" mentions three relatively obscure Dutch Philosophers, and apparently the last name means Hairy Brain. I wouldn't say it is the best game I've played, but it was enjoyable. It was a little annoying figuring out who to talk to to get certain solutions, though. is used to open the stair to talk to the last priest in the temple. Thanks for a great game! It's almost Zork-like in the depth of detail and interactivity (I love that each eyeball has a different description, and you can read the titles of all of the books in Dr Shellfish's lab). This was the most fun I've had with a flash game in a long time. I loved that you could read all of the book titles in MacShellfish's lab. I especially liked The History of Hyrule. My goodness, I love this game. Does anyone else have an overwhelming feeling of nostalgia of being a little kid, believing in fairy tales where everyone has a happy ending? It's nice, looking back on those days, it allows me to escape from the harsh grip of reality, and be a little kid again. Honestly, it's one of the best feelings in the world. I have to find a way to pick up gloop, the Gloop topic doesn't show up when I click on the Mutant Priest! I examined the gloop, and I have the "Learn a way to pick up gloop" quest in the Notes.